Plan a Trip to be Remembered for a Lifetime. As I was making plans for New Year’s Eve and Chinese New Year, I started fantasizing about what my bucket list would look like. Chinese New Year celebration lasts approximately two weeks (some celebrate for a whole month), so I wanted to plan something to be remembered for a lifetime. That’s when I came across lebua Hotels and Resorts in Bangkok, of The Hangover 2 fame. It didn’t take long to see that their New Year’s Eve celebration is in one word fabulous. If you remember The Hangover 2, the most striking parts are the gorgeous hotel and more so the now iconic Bradley Cooper staircase high in the Bangkok sky. 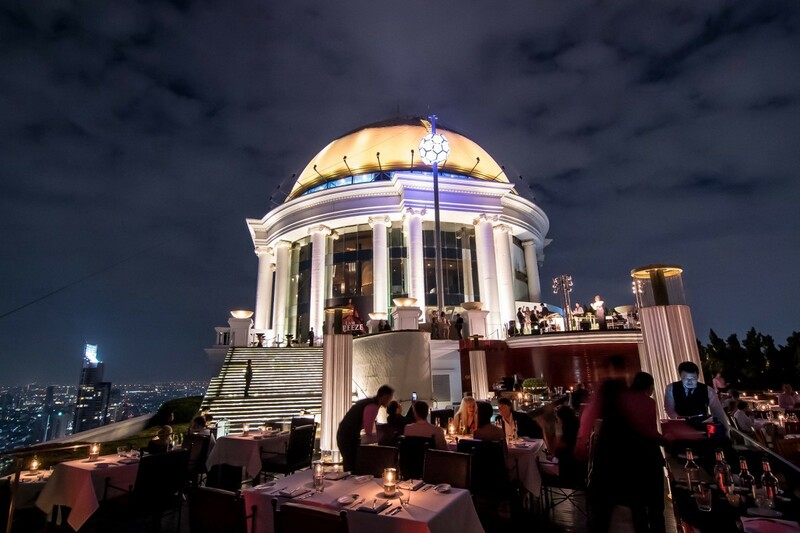 This is where lebua hosts the highest ball drop in the world — beating out our own Times Square ball drop. Lebua’s is 872 feet in the air! The celebrations revolve around their spectacular open-air restaurants and bars, which you get a glimpse of in The Hangover 2. Sirocco, their signature open-air restaurant, the Sky Bar (which definitely lives up to its name) and the new and oh so chic Flûte, the highest open-air champagne bar in the world are all amazing. It goes without saying that the parties were completely sold out for 2017 but if you’re keeping an eye out for 2018 the best option, in my opinion, is their dinner and drinks packages where you get to enjoy dinner at one of their restaurants — Mezzaluna, Sirocco or Breeze, followed by drinks at Sky Bar, Distil or Flûte but brace yourself because it doesn’t come cheap — around $800 not including the trip there. For more information, visit here. Originally published at www.lifestyle411.net on February 1, 2017.